3-D WorldRunner features many elements that are typical of a vertically scrolling shooter game. The player must focus on destroying or dodging onscreen enemies against a scrolling background. However, 3-D WorldRunner incorporates a distinct third-person view, where the camera angle is positioned behind the main character. 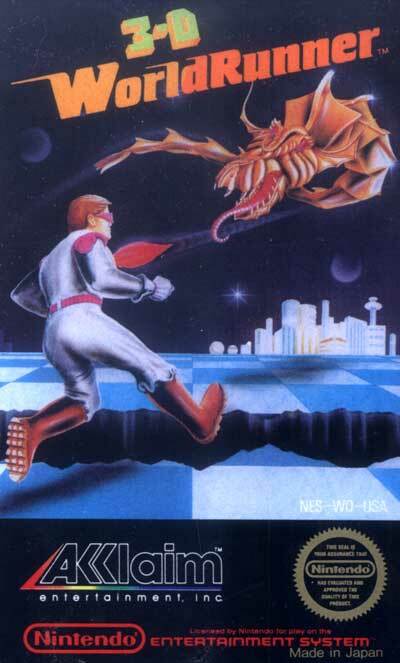 This port is based from the classic arcade game by Sega which was one of the very first games to employ this 3-D, moving forward toward the horizon effect. This same effect was used by Sega in Sonic the Hedgehog 3 on the Sega Genesis (in the bonus worlds), which is a testament to how well it stood the test of time.